It’s 16th October which means it’s World Food Day! It’s a day set aside by the FAO to mark the founding of the agency in 1945 . All over the world, different events are held to promote worldwide awareness and action for those who suffer from hunger and for the need to ensure food security and nutritious diets for all. The day is also used to continue pushing the message on attaining the No. 2 SDG Goal of #ZeroHunger by 2030. As a food blogger who believes passionately about using local ingredients to cook new recipes, I am using my voice to share with you some easy and nutritious cooking tips and recipes to reduce food waste in your home, help you eat better and adopt a sustainable eating lifestyle. I think sometimes we miss how some selected Ghanaian dishes & ingredients can easily be transformed into new dishes with a few simple techniques. Here are my tips which I hope can transform your eating lifestyle. Cook Apapransa using old palm-nut soup. Palm-nut soup is delicious with anything. It goes amazingly well with not just fufu but also rice, omo tuo , ripe plantain, boiled yam, Ga Kenkey etc. But just incase you have an old palm-nut soup almost forgotten in your fridge, take it out and heat it on the stove. If the soup has thickened over time, depending on the quantity add a cup of hot water to the soup and allow to cook for a further five minutes. If you have any cooked beans in the fridge why not add it to the soup for an extra protein boost or a handful of dry herrings for another topping of flavour. Add a cup or two of Tom Brown powder to the soup, stir through with a wooden paddle and make Apapransa a beloved traditional dish which we don’t eat enough of in our homes. This is super kid-friendly as well. Prepare Jollof out of leftover tomato sauce. Jollof is easy to make and can be quick too once you have any leftover tomato sauce. Tomato sauce is the base for making incredible Jollof. The sauce can either be beef, vegetable or chicken tomato stew. Depending on the amount of tomato stew leftover, you can add a cup of rice to the stew, a cup of water and a little cayenne pepper and salt to taste, stir through and let your Jollof cook. Do you have any carrots leftover in the fridge? Dice them up and sprinkle them onto the rice to cook. Transform leftover boiled rice to the perfect rice porridge. Leftover boiled rice should be stored in the fridge, this can be reused the next day by adding an extra amount of water to the rice. The quantity of water needed will be dependent on the amount of rice leftover. Cook rice until it becomes thicker and creamier. Pour into a bowl of milk, top with honey, peanuts or cashew nuts, sesame seeds and heartily enjoy a nutritious breakfast. 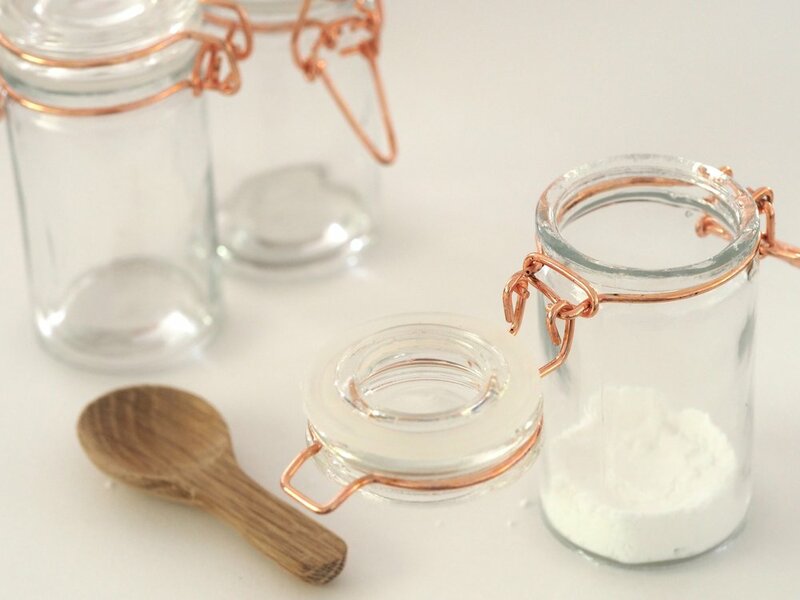 - Pour cereals and grains into tightly sealed mason jars for longer preservation. - Freeze leftover soups and stews. When you are ready to use them, allow them to defrost in the natural atmosphere instead of microwaving. - Position old stews and produce to the front of your fridge and move new ones to the back. That way you consume the old before moving to the new. Nothing gets wasted. - Freeze milk, cheese and eggs to use later. - Preserve fruits by slicing and immersing them into alcohol in a mason jar. You get to make juice extracts out of this method for baking goodies later. Never chuck out an overripe browned plantain. 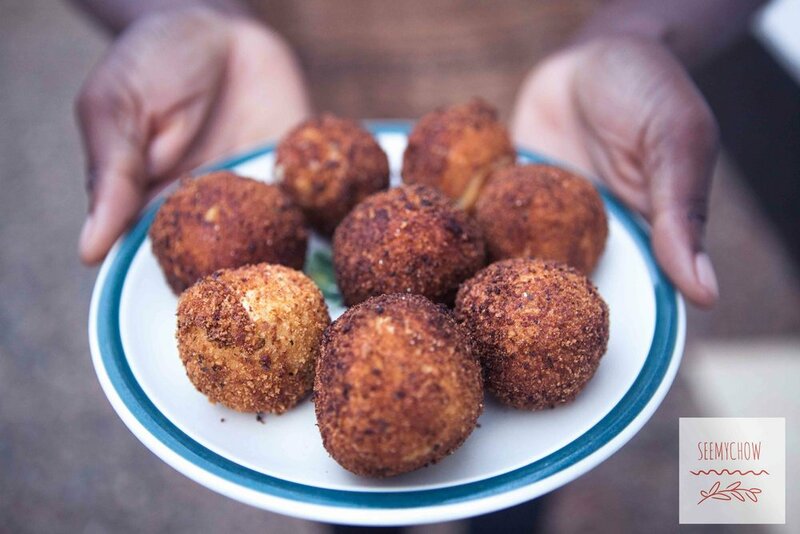 Make plantain fritters instead and enjoy with boiled black-eyed beans or Bambara beans. Don’t squish your nose at the sight of browned bananas. Why not bake banana bread instead? Here’s a recipe for that. 7. Use old bread to make beautiful brown breadcrumbs. Breadcrumbs can be made at home by simply toasting old bread in your oven to become slightly golden brown and blitzing it through a dry mill blender. You can use breadcrumbs in so many versatile ways to transform your cooking from blah to yay! Use breadcrumbs to coat chicken breasts before frying, coat yam balls in breadcrumbs before frying, breadcrumbs is also a fantastic ingredient for binding burgers. So you see why you shouldn’t chuck out that old sugar or tea bread? 8. Save the Cauliflower leaves! Why do we throw out cauliflower leaves when they can be reused to make awesome salads ? You can roast cauliflower leaves and add it to the florets to make a salad. Check out this recipe by The Kitchn. There are so many other creative and wonderful ways to reduce food waste in our home as consumers whilst also reducing food waste at the landfills. What ways are you reducing food waste in your home? Do share in the comments below as we work together towards #ZeroHunger.